This article was first published  on AUT's Briefing Papers series . It is here with permission. Amidst the romance of creating one of the world’s largest marine protected area – New Zealand’s 620,000 square kilometre Kermadec Ocean Sanctuary – there is an overlooked unpleasant fact. Te Ohu Kaimoana chairman Jamie Tuuta pointed to it on a chart showing the sanctuary surrounded on three sides by heavy red lines, all on the high seas just outside the exclusive economic zone (EEZ). They are the GPS tracks of hundreds of foreign boats “fishing the fence”. Even before tuna can make the safety of the Kermadecs, they run the gauntlet of one of the heaviest deep sea fishing operations anywhere. Tuuta says 20,000 tonnes each year of yellow fin, big eye and southern blue fin are taken, worth between $77m and $104m a year, depending on the price of fish in Bangkok – literally. “This ring of fire is strangling the flow of these fish species to our zone and forcing us out,” he told the iwi group’s recent annual meeting. This was one of iwi’s rationale for going to court to challenge the government’s decision to create the sanctuary. They would prefer diplomat efforts instead to cut the heavy fishing on high seas, so they might actually fish in the waters guaranteed them under the Treaty of Waitangi. China-flagged and heavily subsidized fishing boats make up the majority of boats looting the sanctuary. In May a World Bank draft report, Tuna Fisheries , was debated at the Pacific Forum Fisheries Agency. Its authors were regional outsiders and that perhaps explained why they provided facts rather than pay homage to regional diplomatic sensitivities. The Western and Central Pacific Ocean supplies 60 percent of the world’s tuna, worth around $5 billion a year. Around 34 percent of it comes from within Pacific Island nation EEZs. Pacific countries end up with around 15 percent of the value of fish taken. 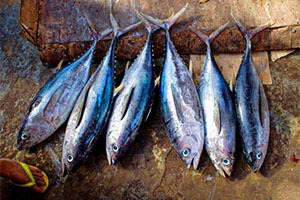 In some places its vital; tuna revenues make up 36 percent of Tuvalu’s GDP and 32 percent of Kiribati’s GDP. It’s not all good news though, with tuna value chains employing less than 0.5 percent of the region’s current labour force. The report calls tuna a “tremendous natural endowment” that could help Pacific nations avoid an increasingly inevitable “low-growth future” but it needs a radical new approach. Ominously there has been a revolution in purse seine fishing : large helicopter equipped boats that can get around an entire school of tuna and take it in. They used sophisticated “fish aggregation devices” to maximize their catches. Once such a device would have been little more than a log of wood floating on the surface. Fish accumulate under anything floating. Now the devices are so big they have electronics on them, watching the fish gather and sending a satellite message when it’s time for the seiner to take the fish. Between 1980 and 2014 the number of seiners in the Pacific rose 911 percent, to 344 boats. The catch over the same time jumped 1900 percent to over 2 million tonnes in 2016. Seiners are increasing catches per day of fishing at a rate of 3 percent per year. Over half of the purse seiners in the Pacific since 2010 have been from China. Seventy-seven percent of the purse seine catch in Pacific Island waters is from foreign fleets. China is also increasing its fleet of long-line boats that haul thousands of hooks through the ocean, catching southern albacore and skipjack. They’ve an 80-strong fleet based out of Suva. Even as they work across waters between New Zealand, Fiji, Tonga and the Cook Islands, the Pacific nations themselves make little from Chinese longlining. China had done virtually no Pacific research or fishing until a decade ago. Making matters more awkward is that the politico-legal environment in Pacific fishing is fragile. High seas conservation measures have to be hard fought and are fiercely and continuously resisted by the big fishing nations. It’s likely Beijing is taking a longer view in that it knows that at some point much of the stock may fail or come under tighter controls. Until that happens China is furiously building a track record in the Pacific as a form of staking its claim on the region, somewhat akin to what it is doing with atolls in the South China Seas. By providing heavy subsidies for the building of new boats and for fuel and crew, they are also knocking out the South Pacific competition. Just as Māori cannot fish against the competition on the Kermadec fence, Fiji and Tongan boats cannot operate on an ocean where competitors have little concern for the cost of fishing. China is violating international agreements made at United Nations bodies to stop the wasteful subsidising of fishing fleets. Surprisingly while China is dominating the tuna take, they are not particularly eating it. Most of the Pacific tuna ends up in three canning plants in Thailand – US owned Tri Marine, Japan’s Itochu and Taiwan’s FCF Fishery. Less than 10 percent of Pacific caught tuna is processed locally. “Given this level of control over the supply to Bangkok, these three traders are in a position to exert significant influence over the purse seine value chain,” says the World Bank. In short, they call all the shots. China’s tuna take will clash with the growing Pacific Island population, expected to grow 50 percent over the next 20 years. Coastal fisheries production is mostly already stagnant; Pacific countries will need their tuna far more than China. Whether China will restrain itself is a mystery; they’ve yet to even explain why they’ve so massively increased their fishing effort – not only in the Pacific, but around the world. Author and journalist Michael Field writes about the Pacific, from its history to its current politics. This article was first published  on AUT's Briefing Papers series . It is here with permission.